Here is your chance to own your own home, and build up equity! The possibilities are endless with this piece of real estate. Nestled in a well established neighborhood in downtown Bangor. Walking distance to schools, shopping, and local cuisine. 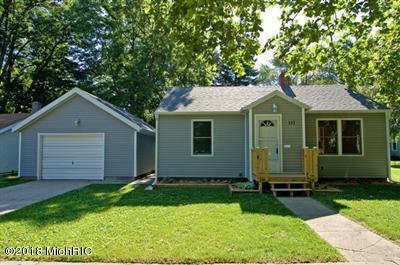 This 2 bedroom 1 bath home is cute as a button. Washer/dryer, hardwood floors, deck off the back of the house for all those summer cook outs. A single car garage will allow plenty of storage space for outside tools and equipment. Just apply your finishing touches, and make it your own. This is a great deal for the money. Would make a great permanent residence or potential income property. I think you will be pleasantly surprised once you have seen the inside.